Introducing Sydney duo Lamalo, who next month will release their official debut single ‘Cablecars’. 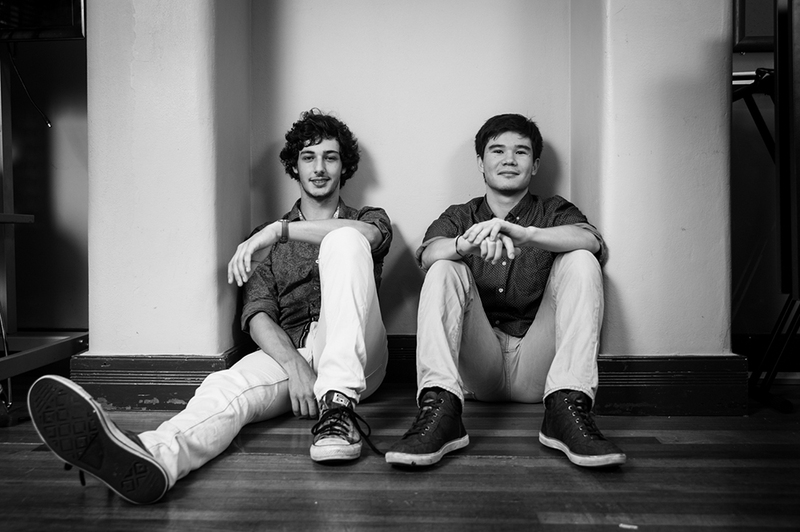 Both Yossi Cascun (left) and Michiya Nagai (right) apparently have fond memories of riding cable cars in their youth, Yossi on the Haifa cable car in Israel and Michiya on the Sentosa cable car in Singapore, so this track serves as an ode to those memories. Brilliantly for us, Lamalo are purveyors of electronic/indie beats in the vein of Rüfüs et al. And ‘Cablecars’, which features the sweet, slightly echoed vocals of Kim Ven, is one heck of a confident official debut. They’ll support its April 22 release with two shows in Sydney on Thursday April 14; one at Hermann’s Bar in Newtown at 6pm and the other in the Lair at the Metro Theatre at 10pm.